For the Excellent Gaming Build build we selected the Intel i5-6600k as our processor. If you're not building a workstation or professional machine, this is the de facto standard for overclockable gaming builds at the moment. To cool the i5-6600k while overclocking we selected the CRYORIG H7. CRYORIG is a newer player in the CPU cooling industry but they have consistently churned out high quality products and the H7 is no exception. To allow overclocking on the processor, we set the parametric filters for ATX motherboards that support up to 64GB of DDR4 memory, six SATA 6Gb/s devices, multiple expansion cards, and crossfire or SLI functionality. With our increased budget and the dwindling cost of memory we selected 16GB of RAM. The parametric filter finds the best price on 16GB kits of memory that are within Intel’s recommended specifications. Using the parametric filters this build will incorporate an SSD with at least 500GB of space and a minimum 3TB of mechanical storage at 7200rpm. With this budget we decided to go all out on the graphics card. The new Nvidia GeForce GTX 1070 is one of the single best cards on the market right now. At 1080p or even 1440p you will not have any problems with AAA games and the 1070 is perfectly suited for VR gaming as well. When using a GTX 1070 you should consider stepping up your monitor to a 120/144hz screen for the best gaming experience. All of our components are housed in the NZXT S340. This case has a gorgeous black finish, a large side panel window, room for enthusiast CPU coolers, watercooling radiators, and front panel USB3.0. For our power supply, we're using a parametric selection of well-reviewed fully and semi-modular units, all of which are 80+ Gold certified and provide more than enough power for this system while at stock clocks or overclocking. Agreed, i'm waiting hoping the gtx 1070 really does come out at 379 dollars like nvidia recommends the retail price should be at its launch, because the 6th gen broadwell-e chips all came in at higher then what the article covering their launch announcement at computex that i read said they would. the two 6 core chips were pegged to launch at sub 550 and sub 450 according to the article i read and instead the one that was supposed be under 550 landed in the 600-700 range. so hoping the gtx 1070 gpu comes in at the expected price nvidia lists not higher like the cpus came in at. at the moment i'm in a quandry over whether the tested 15% or so upgrade i think it was between the 5820k i7 cpu and the 6850k i7 cpu is worth it or if i should stick with the 5820k i7, or if i should start considering a xeon branded cpu since i hear those can be dual-socketed sometimes..
anything i end up building will be better then my lenovo n580 laptop that currently serves as my only computer til i get my desktop built, since it only has 4gb ram and a dual core pentium cpu and is bogging down now during normal web browsing and having a ton of difficulties now keeping up with second life and can't play any of the games i want to play even ones that are from 2008 or 2009 when the laptop itself was bought new in 2013.
so any upgrade will be worth it and i've been sorely tempted to just buy a tower from bestbuy in the 800-1600 range since i have a 2300 credit line there and 400 or so saved so far in my credit union, but after seeing websites like this and microcenter and reading up on parts and a bunch of articles and after looking over all the custom pc makers i could find and looking at a ton of different towers at best buy's website i think i'm better off building my own tower then i am buying one, though they currently have some towers from somone called cybertronpc that are really tempting me. then i find this build today that has everything i want in my build except not quite as much ram and only 4 core cpu instead of 6 like i want, and a 980 graphics card instead of a 970 or 1070 like i was looking at, for almost 2000 dollars less then my build on paper is so far, and the only other thing not priced into this build that i'm wanting is windows 10 pro and possibly raid redundancy on the drives...so i know i went wrong somewhere with my theoretical build, i just have to figure out where now. because ideally i want to end up in the 1000-2000 range with my tower build so it doesnt break the bank and i can end up with some money left if i want a new monitor or gaming controller for pc or new lenovo mx performance mouse to replace my 3 year old one that's starting to look beat up on the outside now. yeah i'm trying to get the most performance i can afford bc i want this tower to not be replaced for 5-10 years once i buy it. i just got this laptop 3 years ago and the people at bestbuy told me that it would be all i ever needed to get, but at the time i bought it i wasn't into anything but very simple pc games if anything and i didn't discover second life until about 6 months after i bought this laptop. at time of purchase this laptop was fast especially in metro/start screen running those optimized for speed and performance programs, and it was fast when i first joined second life, but then about 2 months after i joined second life they updated the service to support something called rigged adn fitted mesh and that update and each successive update to the virtual world since then have killed performance to where i'm lucky to get 5 frames per second performance at times just trying to stand still or move around even with a limited draw/render distance setting. the dual core pentium b960 cpu and the 4 or 8 gb ram which i think is only ddr or ddr2 ram just doesn't cut it anymore. a year or so ago the owner of one of the prominent sims told me that she recommends if you can afford it having at least 32gb ram now as a miminimum for any kind of good experience/performance in the world if you want to actually do things other then stand around chatting or something stationary. and i keep being told modern games need more performance then sl does, even games i'm told have low end requirements like guild wars 2 and cabal 2 require 2gb dedicated graphics memory now. and eventually if i can ever afford a copy of the software i want to get into playing with photoshop and autocad again because i loved learning to use those programs in high school and miss being able to use them. so really 16gb ram and a quad core cpu is what i'm looking at as a bare minimum and i suspect those specs won't carry me for the 5-10 year useful system life i'm looking to achieve so that's why i'm looking at the 1070 graphics card and the 6 and 8 core chips as options even though normally a quad core system would be more then enough because just for web browsing and office stuff the laptop i have now is still more then enough though i'm seeing a few minor signs of bogging down during web browsing again but not nearly as bad as my old desktop that only had a single core celeron that i just stopped using and gave up having any internet access back in 2010 even though i had just b ought that desktop back in 2008 because it was literally at times in 2010 taking 20 minutes time to load yahoo homepage but yet no protection software could find anything at all wrong with it just the fact that web pages have so many useless embedded scripts and videos and things always running even after the page stops loading and auto playing and everything aged out the system i had from being able to handle it. so until i got this laptop in 2013 i just went about 3 years without going online just used my old laptop from college that had a pentium 3 in it to play some cdrom games i have now and then. Totally agreed. I've learned the hard way. also, btw the nvidia gtx 970 that is still showing for 380 on amazon was 329.99 on best buy but has dropped now to 279.99 2 days b4 the 1070 launches. the msrp on the gtx 1070 is supposed to be 379.99 but i read a couple articles today saying it may launch at the founders price of 450 instead of the 379.99 suggested retail. so i'm torn between snapping up the gtx 970 that is now 100 dollars cheaper then it was when i first put it in my build on paper or waiting and getting the gtx 1070 that is 3 times faster and double the framebuffer/memory for the same or alittle more as what the gtx 970 was just a couple weeks ago. yeah the 970 and 960 are dirt cheap now, so i'm hoping the 1070 comes in at a decent price. and i dont really know much about graphics cards so i was going with nvidia because i was always told growing up that nvidia or geforce or radeon were the best brands of graphics cards.... but i was looking at some of the amd graphics cards earlier today on this site and they seem to have the same specs either 4 or 8gb as the nvidia cards for quite a bit less money so i'm a bit confused as to which to go with now but probably will still go with the 1070 when it comes out or maybe the 970 or 960 depending if budget or performance wins out. also its a shame the nearest microcenter stores are clear up in virginia somewhere or clear down in atlanta georgia and that they don't ship, because they have some amazing sale prices right now on towers and cpus on their website i just saw when i got to work tonight. I've been waiting and now I see the 1070 on the graphics card list, but the prices have not gone down that far yet.. I find it odd that this build uses a lot of brand new components with no reviews for them. So someone reading this guide would have no idea on the reliability or performance for a lot of things. Why not make a guide with tried and true components with tons of reviews and accolades? I think it's to draw awareness on these parts. most likely, though i've noticed alot of the parts even the old 4th and 5th gen i7 chips and older parts don't really have reviews on this site, and a lot of the parts listed here don't have any prices or sources listed, and at first i couldnt find the new 6th gen broadwell-e i7 chips from intel listed here because they didnt come up when searching by sku # i had to use the filter system to find them. 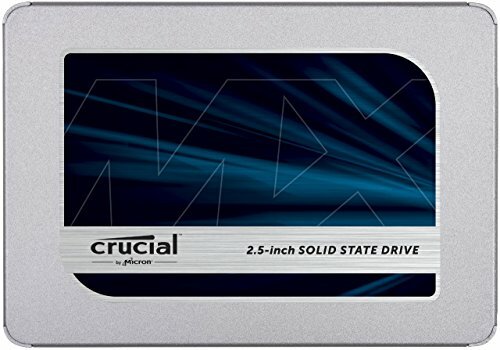 also though there is a crucial 4x16gb 64gb ddr4 2133 ram that shows up here and on amazon but most places don't seem to carry it or know anything about it, almost every custom computer site seems to use corsair vengenance ram that costs 2-3 times as much money for the same or less amount of ram. and then in this build the ram thy are using is even cheaper then the crucial ram i found. most of the custom computer sites seem to be using 2666mhz ram or higher then that even as well which i find very weird since even the new intel broadwell-e 6th gen i7 chips only support either 2133mhz or 2400mhz ram in their specifications, so anything greater then that isn't supported by the cpu so i would think its overkill and money better spent on a different component. Why not a larger PSU? 550W leaves almost no head-room for future SLI. somebody help! 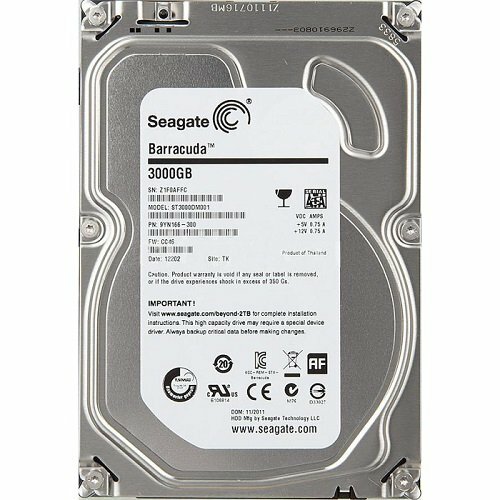 i am brand new to pc gaming a friend told me about this site i am looking to buy a gaming pc but i am nervous about building it if i buy this 1. can i play new games at good settings 2.how hard will it be for a total noob to build it? What about an operating system? Do we really need that much storage? Storage is obviously different from person to person but cost/tb is getting so low now it doesnt really make sense to only buy 1 or 2 terabytes in a build at this budget. It should. Swap it out in the part list and if they are incompatible you will see a big red warning. Anything running notably hot (the CPU and GPU) both have their own coolers. Case fans arnt obligatory in this case (pun intended). registered so i could add a comment to this. the more i look over the parts listed here the more i'm noticing a lot of the better cases come with 2-5 fans pre-installed in the case with a fan controller. also the trend lately from looking here and at all the custom build or configurator sites/makers seems to be for a sealed case design with no drive bay openings to let air or dust in and liquid cooling in the place of traditional air cooling. So far i still see a lot of air cooling builds and a lot of hybrid air and liquid cooling builds but i'm starting to see a lot of sealed case liquid cooling builds now too. I'm considering the cooler master cosmos II case so far... its 300 some dollars but its got all the upgrading room i could ever want, is a full-size tower, supports like 5 different sizes of motherboards, has compartmentalized air flow with grommetted cable/cooling pass-throughs, tool-less drive installations with option of still screwing things down to prevent shifting of components, and hinged doors on both sides that are remove able for working in the case. still not sure about it since its 300+ dollars for it when other nice cases can be had for 50-100 dollars from what i've seen on here but i'm still leaning towards it if my budget can handle it. also... is that one better or one of these? or should i go with the Cosmos II still? i really like the filtration and airflow and number of fans in the cosmos II and storm stryker, but i dont really need that much space or drive bays even with the 4 1tb hard drives and 2 480gb ssd drives i have currently in my theoretical build/build on paper in raid configurations. also my build had already progressed from wanting the i7 5820k cpu to wanting the i7 6850 cpu, but then today my friend who works in it told me what they use for their personal computer, a chip called an amd fx 9590, and i was floored... microcenter where they got it from has it for like 180 or less and amazon has it for 220 and its an 8 core 4.7mhz chip. i've always wanted an intel cpu but that swayed me since budget is an issue and power consumption and cooling really aren't concerns. 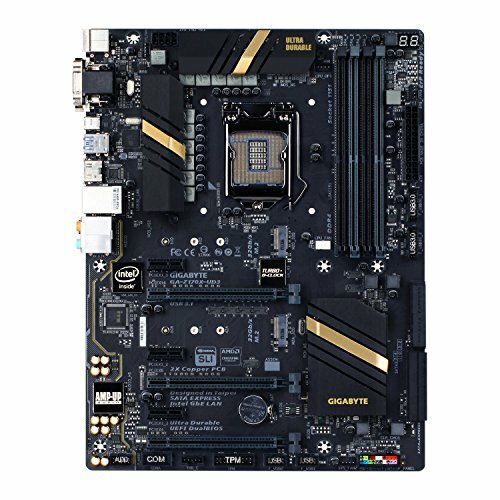 so the board i want to use which was the amazing looking gigabyte ga-x99-ud5-wifi, is now going to be the asrock fatality 970 performance board since that is what they said they use paired with that cpu and it looks the best from the choices. The 9590 is never worth it. Please make your own thread. This is not the correct place to ask. Go to the forums and click create new topic. Yeah! You get the bad PSU choice issue.